This is just one of the little boxes of treasures I keep tucked away. 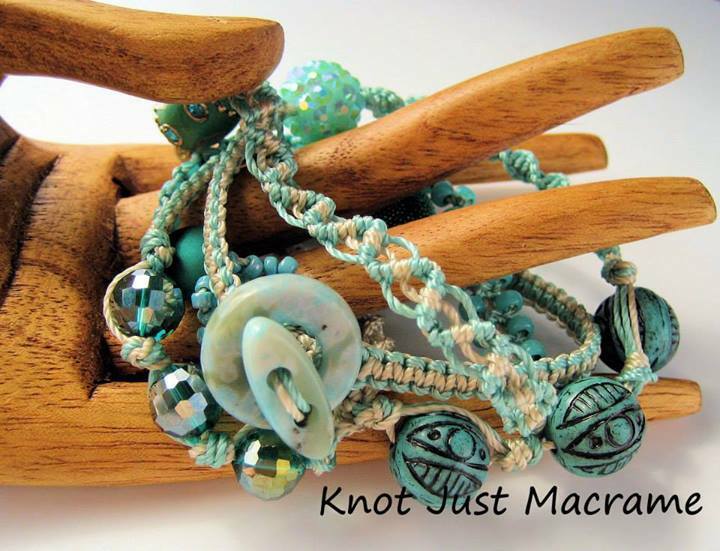 I love beads and pendants and buttons and all things jewelry. Add handmade into the mix and I'm all over it! I am collecting pieces at a rate that exceeds my use of said pieces, which technically, I suppose, does make me a Bead Hoarder. But just look at all that yumminess! Can you name the artists? I see a piece by Duane and Sheri and Shelley and Marla and Diana and and and.... that's about the point where my mind goes into overload. 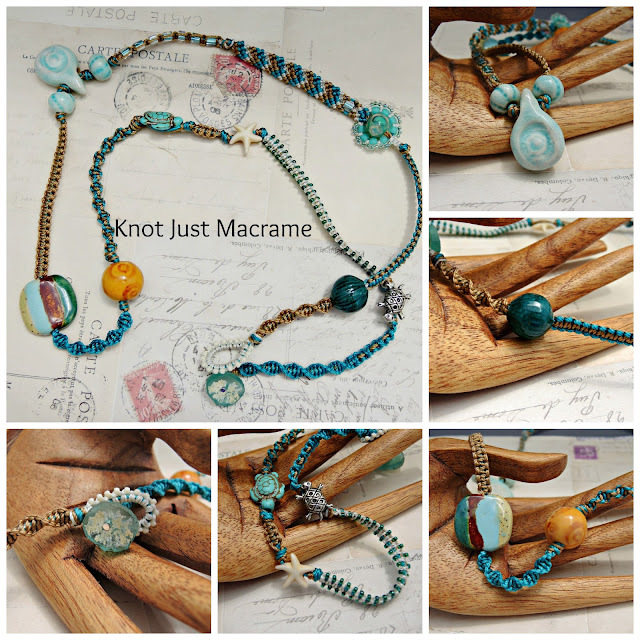 Lori Anderson of Pretty Things, the hostess-with-the-mostest who puts on the Bead Soup Blog Hops, is hosting a blog hop today especially for people with my kind of affliction: the Bead Hoarders Blog Hop. Her challenge is to USE some of those precious pieces we've been hoarding. In preparation for this hop, I got out my boxes and went through them, trying to decide which pieces to use. I have to admit, it was like trying to decide which of your children to kick out of the house. In the middle of winter. With no shoes. I love all my little treasures. I want to have them and hold them and take them out from time to time and pet them. Maybe nuzzle them a little. They're like my little friends. I did do a little practice warm up. 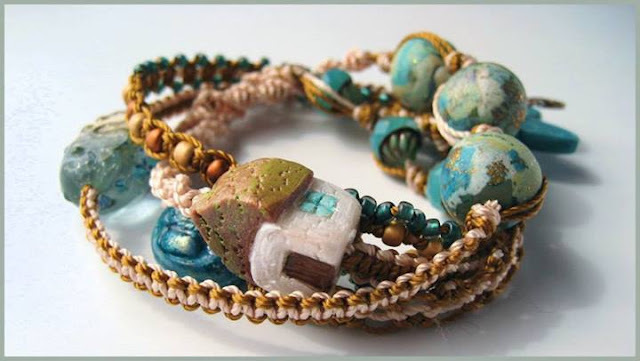 I used a ceramic clasp by Shelley Graham, some round polymer clay beads by Marlene Cupo, a little beach hut by Lennis Carrier, a polymer turtle bead by Ke Robinson and a lampwork oval by Mitosis Glass. 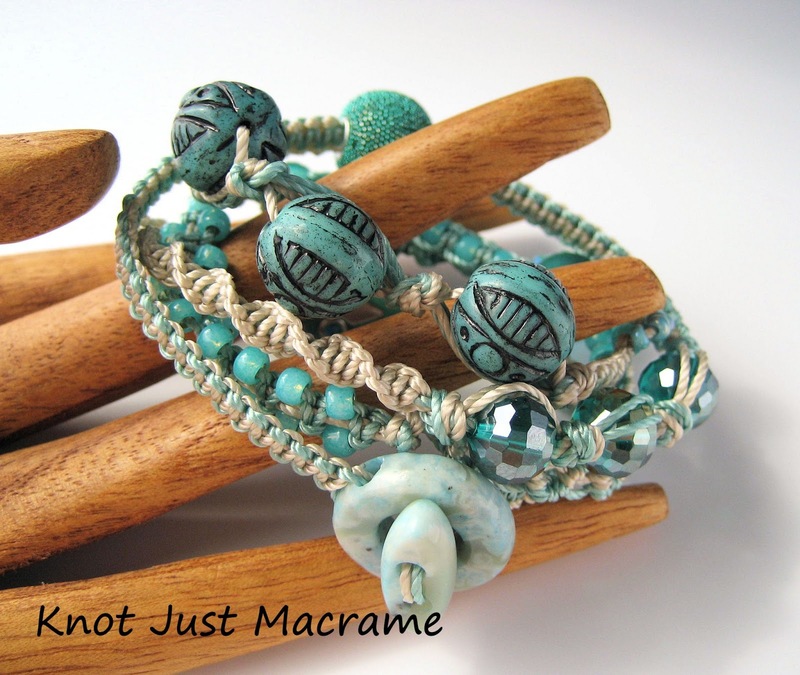 I put them all together in one absolutely fabulous micro macrame wrap bracelet. 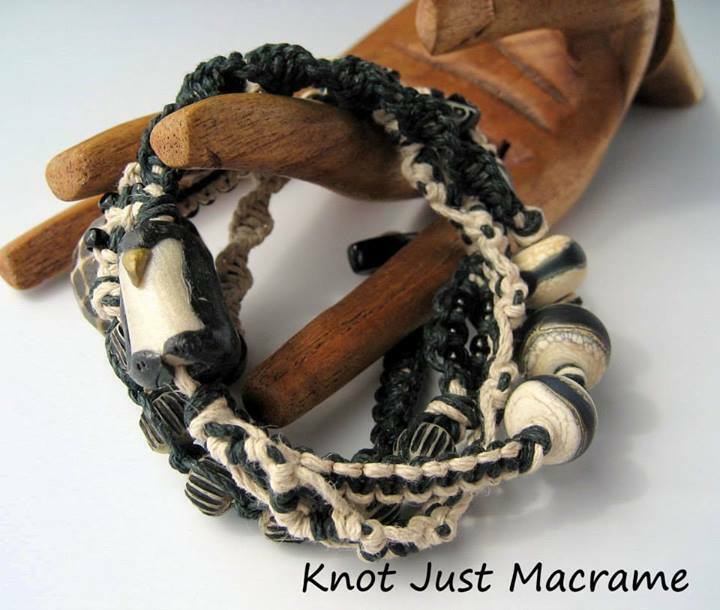 I experimented a little and used a small pendant on another micro macrame wrap bracelet. It's kind of funky and I like it. It and the matching rounds are Jera Luna pieces. I added an enameled bead by Sonya Ingersoll-Stille and two African ceramic beads - one Kazuri and the other from Work of Our Hands. 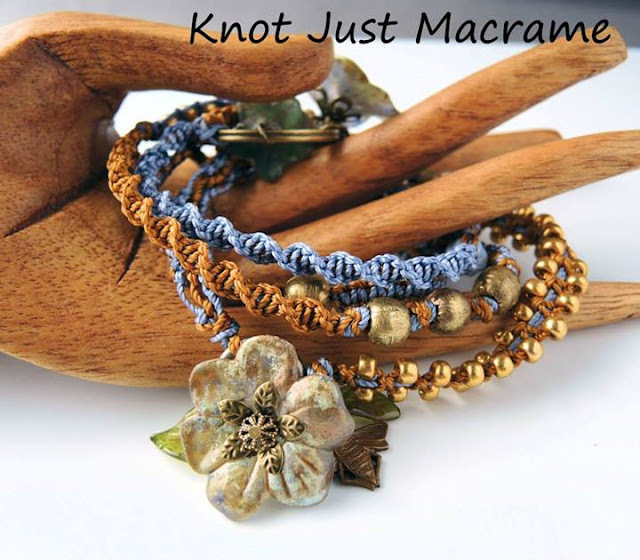 I knotted in a couple of random turtles and a starfish and then the hardest piece of all to use: one of my ancient Roman glass pieces as a clasp. I did it, but I think I may need some follow up therapy. It was probably good for me, though, and now I have an excuse to buy MORE beads to fill in those holes! Right?! Be sure to visit the the rest of the participants and our gracious hostess, Lori! My Favorite Color in Micro Macrame and Giveaway Winner! This week's theme for the Year of Jewelry Project is "My Favorite Color" and the instructions are to make a piece of jewelry in a color that rocks your world. There was no question which color I would choose. I'm just a teal sort of gal. I did want to have a little fun with it, though, so instead of using one or two colors, I used six colors of cord and five colors of seed beads to knot this micro macrame bracelet. And added a seahorse charm just because. 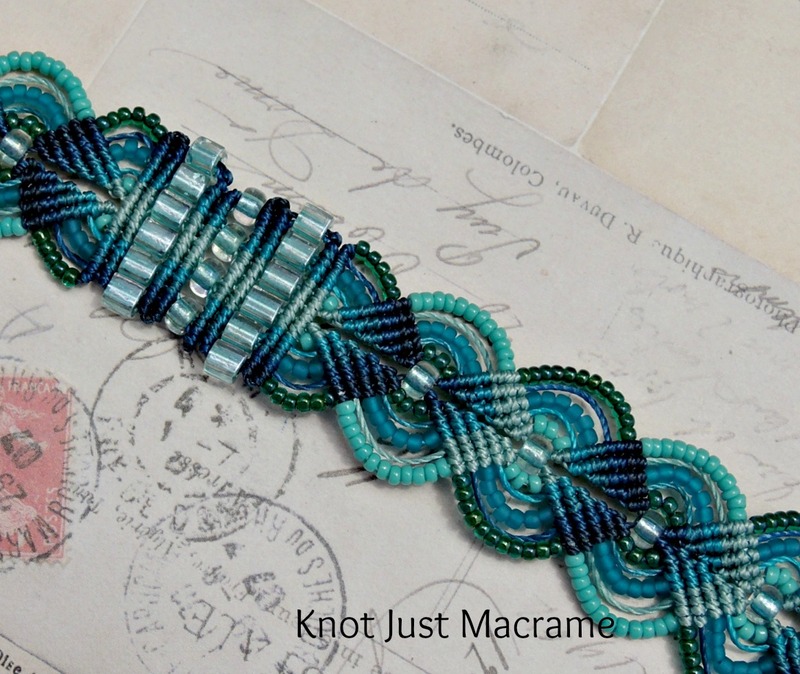 I really like how the colors move through the bracelet. As a little experiment, I made one in white, too. The two pieces look very different, even though the pattern is the same. What a difference color makes! And the winner is: Crystal Thain!!! Congratulations, Crystal! If you didn't win this kit and class, don't despair! 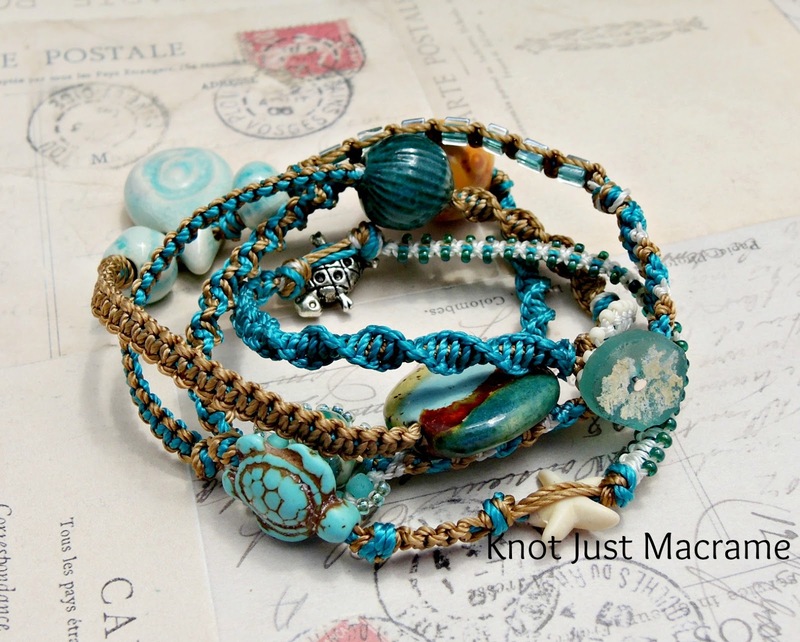 I have more kits listed in my Etsy shop and the eClass is available at CraftArtEdu.com.